I haven’t been painting much recently, in a bit of a funk. So, I thought I’d do a little ink sketching. I had grabbed a piece of plain paper and the closest ink pen. A quick, no stress practice with ink and line. I’ve done one every day, just to keep things flowing from hand to paper. Mostly, I have been working on house stuff. On the top of the list has been this chair. I bought it for $15 , many months ago, with the intention of painting and re-upholstering it. Getting the original fabric off, with it’s millions of staples has been the biggest challenge so far. Fortunately, the cushions underneath are in very good condition. I still have to sand, paint and cover it with pretty new fabric. I am looking forward to sharing the finished piece. I am hoping it will be much prettier when I do. This entry was posted in Art, Home Sweet Home, Misc stuff. Bookmark the permalink. I love that no matter what art you produce it is so reflective of your own style. 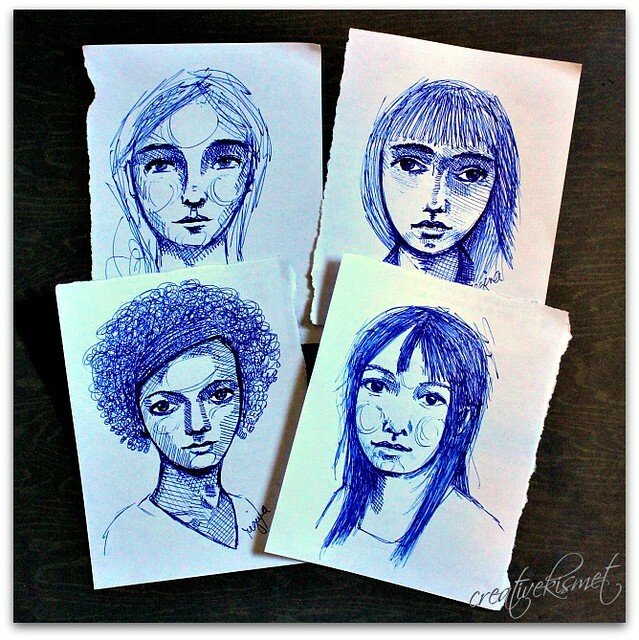 It’s like being able to recognize your handwriting – I look at your art and see your essence stamped through it all. I confess to a very small amount of envy there. I long to develop or find my own style. At present my work is so varied and eclectic I feel like I have artistic multiple personality disorder…..Sigh. Can’t wait to see the chair. love the sketches! you are so inspired and inspiring! 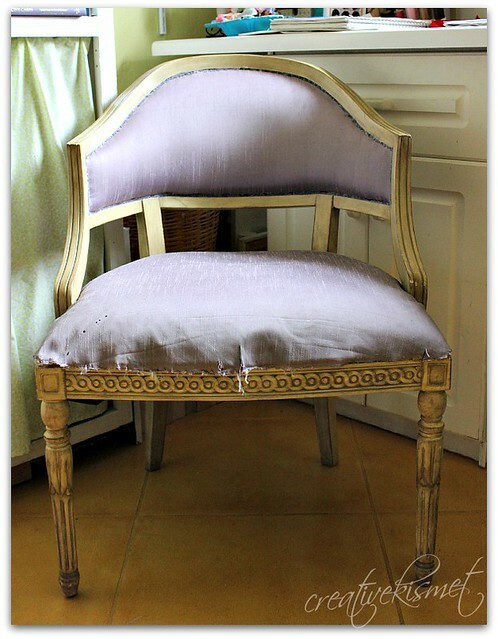 and that chair….drooling a bit over here, cannot wait to see how it turns out!